Work Experience Quantity vs. Quality: Which Is Preferred By MBA Admissions? Sometimes more is better. Like chocolate, vacation days and itemized tax deductions. But sometimes more is NOT better, like saturated fat, bills and dental work. The key is how you look at it. Admissions officers tend to look at things as if they were holding a Libra Scale, especially when considering work experience on your MBA application. On one side, there’s raw number of years (quantity), on the other is your job description (quality). Wonderful! You are the CEO of a mid-size corporation. Oh, it’s your first week on the job?…okay, well still that’s an amazing accomplishment and congrats on the promotion, but perhaps you’d still admit that your knowledge and expertise in such a new position wouldn’t be as developed as say someone who has been doing it for a few years, right? Being a CEO is great, but being a GOOD CEO is even better. Same goes the other way, too. Have you been in the same job for 10 years? Wow! Congrats on keeping your resume neat and tidy and no doubt you are the go-to person for all the ins and outs of that role, but could it mean that perhaps you didn’t take as much initiative or demonstrate leadership qualities required to launch you to the next level? Or, perhaps you have only had a project management job for a year’s time, but in that time you’ve produced measurable results, saved clients money and heartache, improved processes and efficiency, demonstrated leadership, took on more responsibility outside your pay-grade and excelled throughout. That circumstance would make it easy for us to say to heck with quantity, quality is what counts here. The other side of the Libra Scale is quality of work experience. A Chief Operating Officer title sounds pretty impressive, but were you a COO of a cat fashion show? Not to say that being a COO of a cat fashion show isn’t a real job (in fact that sounds pretty cool), but an impressive title with naught to back it up won’t move the needle in your favor when it comes to work experience. On the flip side, something as ordinary as an “Account Manager” title may sound boring to the lay-person, but may actually be pretty exciting. Don’t let us make assumptions. Take every opportunity on your MBA application to illustrate just WHAT about your job made your experience rich and rewarding. The takeaway on work experience: quality and quantity are not, by themselves, deciding factors. Is the three year investment banking analyst stint at a major investment bank considered common for McCombs applicants? Three years of experience is close to the mean, according to the McCombs website, and since it is known as a “top-gig” in Wall Street I would assume that quality is considered high, right? The debate on work experience quality versus quantity aims to help advise candidates on how we measure the balance of the two within the context of your entire application. It’s true that we do strongly recommend a minimum of two full years of some sort of work experience, so at face value 3 years would sound like a sure thing, but that “requirement” alone doesn’t really fully describe what we look for. Work experience quality is be demonstrated not just by the job title or the “reputation” of the job, but by your specific work product description on the resume, productivity measures, letters of recommendation from individuals in supervisory positions, etc. 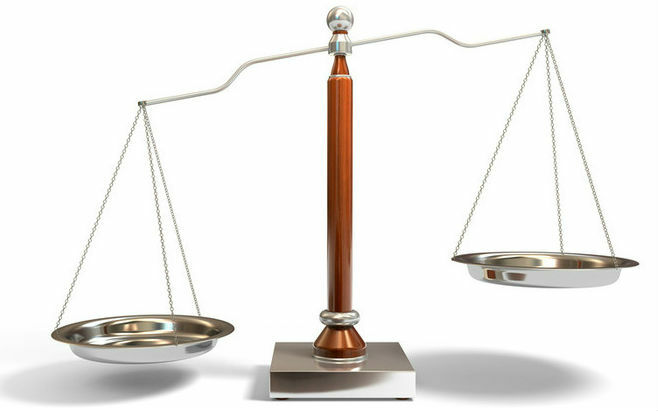 The libra scale analogy used in this blog post illustrates the balance of quantity and quality of work experience so that neither are used exclusive of the other. I completely agree with you. I am glad I heard your point of view, regarding this specific topic. Very interesting view on the quality versus quantity perspective of work experience. Such blogs help prospective students like me to look beyond the number of years and reflect on the quality as well. On that note, I have 11 years of experience with one of the largest banks in the MENA. I do understand that does not hold full value unless I present it along with my work achievements and excellence. But do you think the higher number of years could still work against me in the application process? It would be good to have your thoughts. Thanks. No, the high number of years alone won’t count against you, but as you mentioned it is important to give us as much detail as possible in your resume, essays and other area of the application to qualify your tenure. That way we can get a picture of the quality of work experience. Number of years alone won’t make or break your application. I am considering applying for the Fall 2015 entrance and had a couple questions regarding my eligibility. I graduated in 2013 in International Business and since had a full time role as a PR/media-planner of the 50th Anniversary of JFK event that occurred in November 2013. Following, I became an Associate for a prominent international software company. I will have had just 2 years full time experience by the time the 2015 entrance began [about 6 months with JFK, 1.5 years and a promotion with the software company]. My question is, should I have 2 years full time experience at the time of application or the time of matriculation? I’m confident I can state a case of quality work, but would appreciate your insight. Thanks for your question, Sarah! As long as you have the two years of full time work experience (with no unexplained or significant gaps) by the time you would potentially start the program, then you would be considered as having met our “strong recommendation” of the work experience duration. It may help others with similar circumstances (meaning below average number of years of work experience as our average is five) that we do not “require” the minimum two years of full time work experience, but “strongly recommend” it because the work itself doesn’t qualify your application, but rather assists in your participation in classroom discussions that involve real-life/professional applications of the b-school subject matter. Therefore, we accept that this can be achieved prior to your arrival, not prior to your application since your submission would presumably be many months before matriculating. I hope this is helpful!